Newborns are so amazing. When you book a session with us, the most important thing is that you enjoy the experience and that all of the baby's needs are met. Sessions are 3 hours, and most props, such as wraps, headbands, buckets, and blankets are all provided by us. But you are always welcome to bring anything you like to the session. Weddings are magical. We strive to capture that magic in our photography of your special day. We offer 1 or 2 photographers and can create a package that best fits your needs. Please contact us for a free consultation. Engagement sessions are exciting; there is so much love in the air and that is what we want to capture for you. We offer studio and location shoots, and yes, we love to travel to fun places to capture this memorable time for you. Your senior year is exciting and we want to capture that for you! We offer studio sessions and location shoots, or both! Most important, we want you to have fun during your shoot. No counting poses here, just lots of fun and making sure we capture this special time for you! 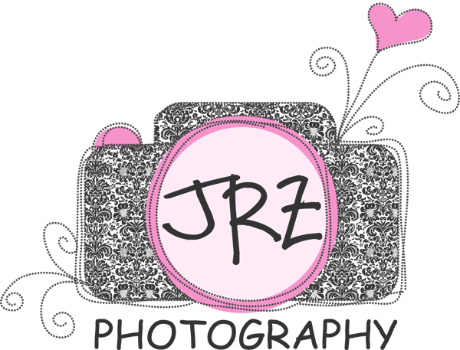 Follow our blog to keep up with the latest adventures of JRZ Photography. We will talk about our shoots , share fun locations, and let you know about upcoming specials and promotions. We also encourage your questions and feedback. Such an exciting time in your life! We offer studio and location sessions for our expectant mommies. We can provide custom maternity gowns in all colors and sizes that I have had designed and made for my clients use, but if you would like to wear your own clothing that is absolutely fine too. Holidays are so special, whether its Christmas or Valentines Day, they are memories we want to hold onto forever. Let us capture these special moments for you. Look for "mini sessions" specials.!!! Our little ones are so full of life and have lots and lots of energy! I love it! We offer 'smash the cake' sessions for your little one's first birthday and are ready to capture all of thier milestone occasions. Our studio is full of goodies just in case you forget some treats. What a beautiful celebration of a young girl's coming of age - her 15th birthday marking her passage from girlhood to womanhood. Let us document this milestone in your daughters life and capture memories to pass on her to little ones one day! "The Love of a Family is life's greatest blessing". Family sessions are priceless. So many changes take place so fast. Our little ones grow so fast and before you know it they have families of their own. We love and laugh and sometimes we cry because of the loss of a loved one. Let us capture these moments for you to treasure for generations to come.